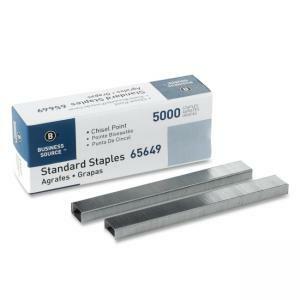 Use chisel point staples for efficient and dependable performance in stapling machines that use standard staples. Fit all standard staplers. Crown measures 1/2" wide. The leg length is 1/4". Each staple fastens up to 30 sheets. Staples come in strips of 210.